Dr. Cramer's research interests are in the field of sociolinguistics. Her dissertation dealt with the linguistic production and perception of regional identity in Louisville. She is interested in perceptual dialectology, discourse analysis, and language and identity. She has presented her work at many national and international conferences, such as the American Association for Applied Linguistics (AAAL), the American Dialect Society (ADS), the International Association for World Englishes (IAWE), the Linguistic Society of America (LSA), New Ways of Analyzing Variation (NWAV), and the Sociolinguistics Symposium. She has published research papers in American Speech, Discourse & Society, English World-Wide, Southern Journal of Linguistics, Journal of Appalachian Studies, and Studies in the Linguistic Sciences. She also has several book chapters, including a co-authored piece on hip hop in Marina Terkourafi's (ed.) The Languages of Global Hip Hop and another on language regard in Betsy E. Evans, Erica J. Benson, and James N. Stanford's (eds.) Language Regard: Methods, Variation, and Change. Her most recent book projects include a co-edited (with Chris Montgomery, University of Sheffield) volume on dialect perceptions in the city called Cityscapes and Perceptual Dialectology (Mouton de Gruyter, 2016), and a monograph on the linguistic perception and production of regional identities in and of Louisville for the Publication of the American Dialect Society called Contested Southernness: The linguistic production and perception of identities in the borderlands (Duke University Press, 2016). Cramer, Jennifer and Chris Montgomery (eds.). 2016. Cityscapes and Perceptual Dialectology: Global perspectives on non-linguists’ knowledge of the dialect landscape. Language and Social Life 5. Berlin: Mouton de Gruyter. Cramer, Jennifer. 2018. Perceptions of Appalachian English in Kentucky. Journal of Appalachian Studies 24 (1): 45–71. Cramer, Jennifer. 2015. An Optimality-Theoretic Approach to Dialect Code-switching. English World-Wide 36 (2): 170-197. Anderson, Bridget L., Jennifer Cramer, Bethany K. Dumas, Beverly Olson Flanigan, and Michael Montgomery. 2014. Needed Research on the Englishes of Appalachia. Southern Journal of Linguistics 38 (1): 1-30. Cramer, Jennifer. 2014. Is Shakespeare Still in the Holler? The Death of a Language Myth. Southern Journal of Linguistics 38 (1): 195-207. Cramer, Jennifer. 2013. 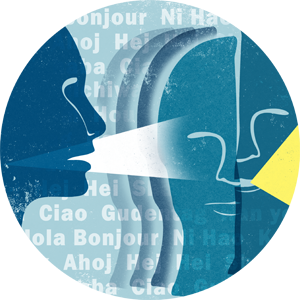 Styles, Stereotypes, and the South: Constructing Identities at the Linguistic Border. American Speech 88 (2): 144–167. Cramer, Jennifer. 2010. “Do we really want to be like them?”: Indexing Europeanness through pronominal use. Discourse & Society 21 (6): 619–637. Lichtman, Karen, Shawn Chang, Jennifer Cramer, Claudia Crespo del Rio, Amanda Huensch, Alexandra Morales, and Jill Hallett. 2010. IPA Illustration of Q’anjob’al. Studies in the Linguistic Sciences. <http://hdl.handle.net/2142/17090>. Cramer, Jennifer. 2018. The Emic and the Etic in Perceptual Dialectology. In B.E. Evans, E. Benson, and J. Stanford (eds. ), Language Regard: Methods, Variation, and Change. Cambridge: Cambridge University Press. 62–79. Cramer, Jennifer. 2016. Perceptual Dialectology. Oxford Handbooks Online. Linguistics. New York: Oxford University Press. DOI: 10.1093/oxfordhb/9780199935345.013.60. Cramer, Jennifer. 2016. Rural vs. Urban: Perception and Production of Identity in a Border City. In J. Cramer and C. Montgomery (eds. ), Cityscapes and Perceptual Dialectology: Global perspectives on non-linguists’ knowledge of the dialect landscape. Language and Social Life 5. Berlin: Mouton de Gruyter. 27–54. Montgomery, Chris and Jennifer Cramer. 2016. Developing methods in Perceptual Dialectology. In J. Cramer and C. Montgomery (eds. ), Cityscapes and Perceptual Dialectology: Global perspectives on non-linguists’ knowledge of the dialect landscape. Language and Social Life 5. Berlin: Mouton de Gruyter. 9–24. Cramer, Jennifer and Jill Hallett. 2010. From Chi-Town to the Dirty Dirty: Regional identity markers in U.S. Hip Hop. In M. Terkourafi (ed. ), The Languages of Global Hip Hop. London and New York: Continuum. 256–276.